I've only seen him in Last of the Mohicans, Gangs of New York and Age of Innocence. I couldn't believe that the same man played all those roles. Which DDL film should I visit next? - My Left Foot? Which DDL film should I visit next? 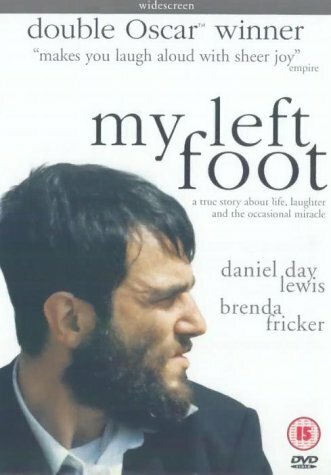 - My Left Foot? yeah and for his performance, in the name of the father. everything that man does is gold though. the ballad of jack and rose is coming out soon so you fucks better see it. that should be on a lot of top 10 lists when the So Far threads start pouring out. Ughh, it isn't on DVD...I'll go with his other sheridan films. The Ballad Of Jack And Rose isn't THAT great, but is performance sure is. He's one of the best actors alive, without a doubt. I think I've seen everything he's done except My Beautiful Laundrette. I think The Boxer is rather underrated. I think I've seen everything he's done except My Beautiful Laundrette. The performance isn't anything earth shattering, but neither is it reputation shattering. From what I remember I tought it was a good film, so you should check it out. I'm probably the only one who prefers The Boxer to My Left Foot. I think the grittyness of it is great. Just seems real. Day-Lewis does infact own your soul. Was it Mac who had that avatar of bill the butchers eye? that avatar was awesome. One of the most highly-praised and well-respected actors living today, Daniel Day-Lewis dedicates himself to every role that he takes on, living in character throughout the duration of filming. Because of this, Day-Lewis is very selective of the roles that he chooses, often taking years off between projects. Fully aware of this, the actor’s wife Rebecca Miller was getting ready to find another actor to take on the lead role of Jack in her latest offering The Ballad of Jack & Rose, since Day-Lewis had just come off a grueling shoot in Rome, Italy for Scorsese’s Gangs of New York. But as Miller was busy putting together a list of actors to pursue, her husband surprised her by telling her he was ready to take on the project. Shortly after reading the script, Day-Lewis saw and loved Miller’s first film Angela, a drama about two young girls that was nominated for the Grand Jury Prize at the 1995 Sundance Film Festival. A year later, they were married, and eventually Day-Lewis got to see how his wife likes to work when she made her next film, 2002’s Personal Velocity: Three Portraits. For a director, working with an actor who prefers to maintain character throughout the duration of a film is always a delicate situation. When that actor is also your husband, it lends itself to even more interesting challenges. Living on the site of an abandoned island commune, Jack has sheltered Rose completely from the influences of an outside world that refuses to live up to his ideals. His fatal illness and Rose’s emerging womanhood pose troubling questions, with regard to his life choices. In order to convincingly portray Jack, Day-Lewis spent time determining the motivation behind such a man. Because he so fully throws every part of his being into each character he portrays, it would be easy to understand if Day-Lewis wanted to retire from the business. Surprisingly, the 47-year-old father of two says he still has the same urgency when he’s working that he did when he started out. I noticed that in certain instances he would push his lower jaw out slightly. Kinda like that cool stork-walk he did in Gangs. He had such a cool walk in Gangs. But compare his face in those two movies. Totally different. In terms of chameleon leading men right now, probably the only one who can stand with him is Johnny Depp. I think he's really enigmatic, and I wouldn't say that about alot of Hollywood actors working today. He's got that "steely eye" look that owns most movies. I can only think of 5-10 actors working today that would make me want to go out and see a film with them in it. I'd put DDL in that category. I just watched The Boxer. It took me awhile to warm up to the characters, but once I did I was really taken in. Very impressive, off to another DDL film. Try also "My Beautiful Laundrette" and "Room With A View" and "Unbearable Lightness of Being." It's amazing the same actor did all three roles. He was hilarious as Cecil in "Room."